Tomato soup - home cooked food delivered. Home-cooked food doesn’t get much more homely than tomato soup. Our chefs’ take on this comforting classic will satisfy on every possible level. 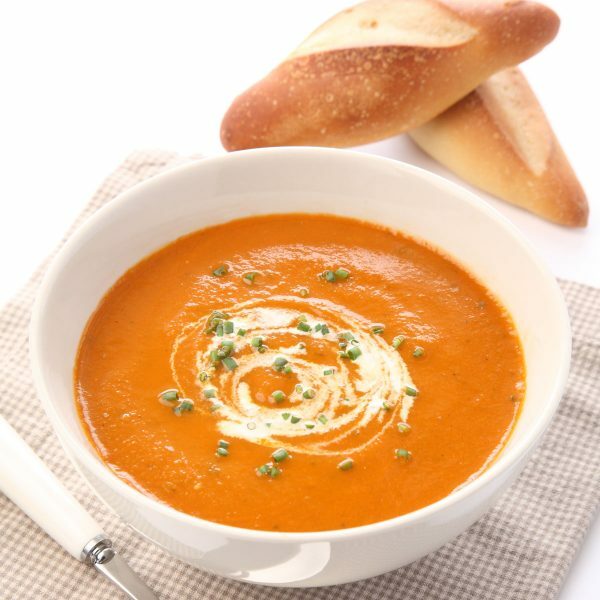 Our fresh and healthy home-made soups are positively brimming with flavour. Carrots, celery, onion, garlic, extra virgin olive oil, vegetable stock, tomatoes and fresh basil, seasoning. Empty contents into a pan. Simmer gently for a few minutes until piping hot before serving. Keep refrigerated, use within 5 days or freeze immediately.